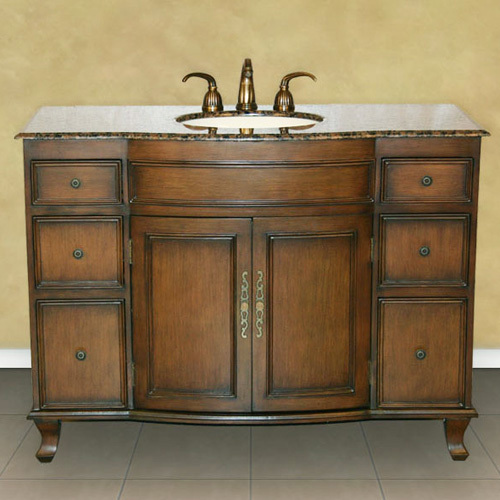 The Norcia Single Bath Vanity offers a lovely balance between antique character and a transitional aesthetic. 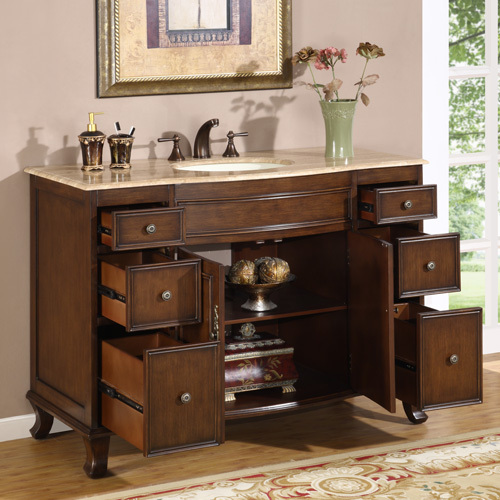 Its style is straightforward, and the hand-crafted inlays on the drawers and doors catch the eye and give it a pleasant symmetry. Choose between Baltic brown granite or Travertine countertops. 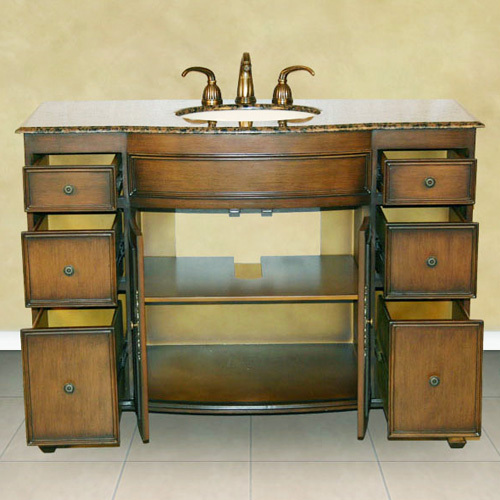 Both come with an under mount ivory ceramic sink, and are predrilled for three faucet holes. The antique brass hardware adds to its handsome look. 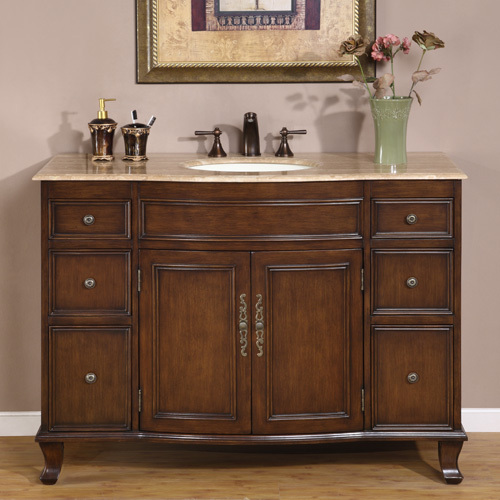 For a sophisticated addition to your bathroom, the Norcia is a serious contender.